Do I need to remove the protective film on acrylic? HOURS OF USE ARE LIMITED TO 8PM-8AM UNTIL ADDITIONAL FUME EXTRACTION HAS BEEN INSTALLED. Stocks of acrylic, plywood and MDF are usually available in the lab, this is the pricelist. The laser can also cut paper and card. Other materials may be possible, but always seek advice from an experienced user. If you supply your own, make sure that it is intended for use with a laser cutter. 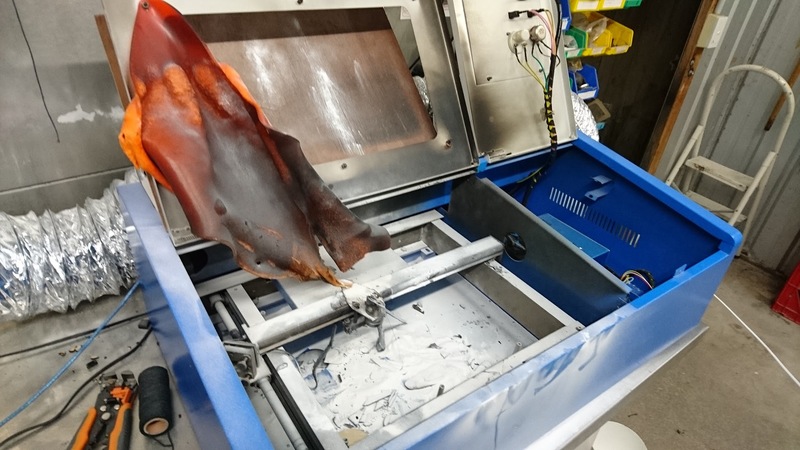 Some materials may catch fire, damage the cutter or release toxic fumes. This guide from ATX Hackerspace provides a good summary of the options. The laser cutter cannot cut metal. No, not even really thin metal. No, not even aluminium. 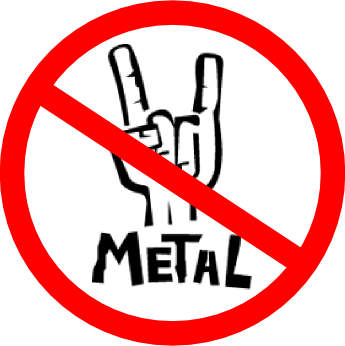 No metal. No. Metal. Engraving of some coated metals is possible, Martin has documented his experiences of engraving anodised aluminium. There is always a fire risk when using the laser. The laser should not be left unattended during a cut. Usage is charged by cutting time: £5 per hour for members, £15 per hour for non-members. You don't need to pay for a full hour if you don't use it. Materials cost between £1.50 (3mm MDF) and £13 (6mm acrylic), per 300x660mm sheet. See the pricelist. You may provide your own materials as long as they are suitable for laser cutting. The power level in the Windows software should be set between 1% and 100%, as advised below or according to your own experience. The power level on the laser cutter itself (on the LCD menu) is calibrated for the tube and power supply, and should not be changed. Please add your own preferred settings here, but do not edit the existing entries. If you believe a setting is inappropriate, use strikeout and add a new entry with your corrections. Add your name to the notes so that other users can make an informed decision where there is a conflict of recommendations. For optimal function, the laser light needs to be properly focused in relation to the surface of the material. This is adjusted by pressing the Esc button on the machine user interface followed by the Z button and pressing the left and right arrows to move the laser focus up and down. A 60mm perspex square is attached to the left side of the machine by a piece of string. With the substrate on the cutting bed, place one of the thin sides of the square on the substrate and adjust the height of the laser focusing head until it is flush with the top side of the square. It may be necessary to move the laser focusing head in order to gain physical access to it for calibration. This is done using the directional arrows on the physical machine user interface. Wobbly cuts, intermittent cuts: check the the circular retaining rings that secure the mirrors to their brackets. These can work loose, allowing the mirror(s) to wobble within their mounts. Inconsistent cuts: if some areas on the bed are cutting better than others, the beam is most likely out of alignment. Unsuccessful cut with recommended settings: Z-axis is wrong, or the mirrors need to be cleaned. The laser must be properly focused onto the material in order to cut effectively and the appropriate focal point depends on the thickness of the material. Calibrate the focal point per the instructions above. If the material does not sit flat on the cutting bed, appropriate weights should be applied to the material. Weights are provided specifically for this purpose. A material like acrylic (perspex) is easier to debug if you leave a sheet of A4 paper under the material that you would like to cut. From the burned areas you can see how you might need to adjust the speed to get the curves cut. It may be necessary to perform multiple passes of the laser over the material in order to cut all of the way through. This occurs when you're trying to cut outside of the bed. Make sure your design fits in the bed displayed in the software and there aren't any bits protruding out of the frame. We tend to have the software set up to cut relative to the starting point of the head, so you may need to change the origin that it's going to reference your design from, relative to the bed. Download it again to the laser cutter. Save the file as .AI. When you save, under “Options” make sure “Embed ICC Profiles” and “Use Compression” are both not selected. “Create PDF Compatible File” should be selected. In the laser cutter software, select File→Import and choose the AI file. Tested with Illustrator CS6 on Mac, worked perfectly. The software doesn't understand more recent AI format files - recommendation is to save as Illustrator 8 format. Save a DXF file, selecting AutoCAD DXF R12 to R14 format. The beam path from the laser to the cutting material passes through four mirrors and one lens. For this guide we'll number the mirrors from the laser tube, so the mirror nearest the laser tube is mirror #1, and the last mirror which reflects the beam downward towards the lens is mirror #4. Aligning the beam should usually only involve adjusting mirrors #2 and #3. We start nearest the laser tube, with mirror #2. First, get the masking tape, tear off a strip 10 cm long, repeat this 5 times sticking each piece on top of the last. We'll use this thick piece of tape as a target for the beam. It has to be thick so the laser doesn't burn all the way through it, getting ash on the mirrors. Stick the tape onto the o-ring surrounding mirror #3. Move the laser head all the way to the left. Close the lid and quickly tap the LASER button on the control panel. This will briefly activate the beam, leaving a scorch mark on the tape. Now move the laser head all the way to the right end of the bed and repeat. When mirror #2 is correctly aligned, the beam should hit the same place on the tape both times. The beam doesn't need to be dead centre - it just needs to be hitting the mirror in the same place every time. Adjust the screws on mirror #2 until this is the case. Remove the masking tape and stick it back on with a fresh piece of the tape in front of the mirror every time you repeat this step, to ensure you don't burn through the tape. The process for adjusting mirror #3 is the same, except the masking tape will be covering the hole on the cutting head where the beam enters. Adjust until all of the beam is going into the hole with the head positioned at the front and back of the cutter. Should this happen turn cutter off then on again. Then re-download the data back onto the cutter. This should solve this issue. The protective film is safe to cut, and protects the acrylic from smoke and accidental scratching. For engraving, the top layer of film should be removed as it can affect the quality of the engraving. Jane discovered that the laser was cutting out, leaving uncut/unengraved sections. Water temperature was observed to be as high as 26C (partly due to high ambient temperature). Adding ice to the coolant brought the temperature down to 19C but did not fix the laser cutting issue. TimHawes diagnosed the recent alignment issues and found a loose mirror. Tightened the retaining O-ring on mirror #1 to prevent it from moving. Re-aligned all mirrors and tested OK.
JohnLamb replaced coolant water (Milton disinfectant included). Drilled extra hole in coolant tank and separated pump and return pipe to improve heat exchange. After months of poor cutting performance, the tube and power supply were replaced but did not resolve the problem. Diagnostics with an oscilliscope showed that the laser power levels were oscillating and that the power levels were not consistent with a 40W tube. The problem was traced to the coolant water, which contained a high concentration of Milton disinfectant to manage mould growth. The Milton acts as an electrolyte, increasing the capacitive load on the tube and causing the power supply to fluctuate. Replacing the coolant with plain tap water immediately resolved the issue. 5th: Laser reported not working. Rob swaps replaces current PSU (#2) with old PSU (#1). This fixes it, but old PSU doesn't deliver power reliably. 5th: Tim checks logic inputs to PSU and doesn't find any problems, but is suspicious of lid-closed detector (bypassing doesn't resolve the problem so this is not the cause). 6th: High voltage side of PSU is checked. A pulse of around 300V is seen, which is much lower than the expected 2kV. Replacement PSU ordered. 8th: Replacement PSU (#3) is fitted but doesn't immediately solve problem. Tube is swapped and this does not resolve the problem either. PSU test switch is used and the laser fires. Tube is swapped back and the laser still fires. Previous PSU (#2) is confirmed as failed. Lid-closed switch identified as a secondary failure. Replacement switch ordered. 10th-11th: Cooling system upgraded: container 35L→84L, new/longer silicone tubing fitted, pump cleaned. The system was flushed with a high concentration of Milton disinfectant for 2-3 hours then rinsed. Coolant tank filled to approx. 62L with 15ml of Milton. 12th: Radiator and fan added on return pipe. New tube #3 installed. Purchased from Just Add Sharks. Mirror 1 failed during testing and was replaced by an older (scratched) mirror. Alignment is out so cutting only works in a small area of the bed. Full re-alignment by Tom Feist. Initial testing looks good. Mirror 2 is showing signs of damage (manual scratching and a possible burn in the centre). Tim Kerby checked and fixed the alignment. Mirror 2 replaced. Home-grown chiller installed. Water and tube were observed to be full of cloudy dust-like material, so water system cleaned and flushed. 84L tank replaced with 35L, filled with 30L and half a capful of Milton. Laser performance has been low for at least a few weeks. Attempted to measure tube voltage, but found positive tube connection was frayed and arcing. Repaired the connection but arcing might have been related to the removal of the silicone insulation for testing. Laser performance was not fixed by the repaired terminal connection. Voltage measurement still to be carried-out. Chiller has furry mould build-up on the cooling coils. Cleaning still to be carried-out. Laser cutter was reported yesterday as completely failed. Confirmed that the glass tube is broken internally and filled with coolant. Cause appears to be loss of coolant flow combined with failure of flow sensor interlock. Drained and cleaned the cooling system. “Fur” on the chiller coils was a powdery white mineral deposit, not a mould, and there were pits in the coil under some of the deposits. Milton is apparently incompatible with the chiller, even in small amounts. Coolant replaced with 10L of clean tap water using a bucket as the reservoir. Old tube installed in cutter. Seems to work well, but power levels are still to be checked/calibrated and a longer testing period is needed to see if there is any fading of power. Alignment was good enough for basic testing, but still needs to be properly checked. Power output appears to be up to 39W at 16mA, but fading as low as 25W. Good cut achieved at around 11mA (75% software, 50% firmware). Firmware power adjusted to 38%, so software power should now work as 0-100. Old Windows XP machine replaced with a newer Windows 7 machine by Ritvars Timermanis. The extraction hose replaced with a better quality one, the PC was moved to the left of the laser. The nozzle of the laser was reduced in diameter to increase the airspeed and reduce the lens contamination. The physical motion of the laser head was increased to 595x300mm from about 560x300mm previously Costa Talalaev. Power output measured at about 17W. Tube replaced. New tube is smaller (70cm) so one support bracket was relocated. Cooling system cleaned and refilled. Mirror #1 was cracked, replaced with a new Molybdenum mirror. Power output tested and configured to 60% = 22mA = approx 33W output. Alignment checked, minor adjustment made to #2 mirror. 3mm ply cut at power 98 speed 7 (as documented) and 10 (faster than documented). Power output tested: 60% firmware power = 22mA = approx 26W output. New 60W tube fitted and calibrated to 40W (tube purchased 2017-01-24 from ebay for £133). Tube time counter reads 253 hours. Power output calibrated and tested: 45% firmware power = 13mA = 40W output. Laser tube rotated to place coolant outlet at top, to release air bubbles. Arcing and PSU whining noises were reported. Appears that the insulation at the high voltage terminal of the tube was failing. Replaced the degraded silicone boot at the terminal. Replaced the high voltage cable (as a precaution, and because we had a spare). Rotated the tube to create more clearance between terminal and chassis. Straight lines cutting wobbly. Corrected by tightening nozzle which has worked loose. Laser cutter PC out of action with a “Mismanaging PTEs” BSOD. PC was later fixed by reseating the RAM. More PC trouble on boot. Currently fixed by removing all RAM except 2x512MB sticks. The laser tube seems to start failing in power. Today measured 26W output at start and 20W power after 3-4mins at full power. 492 hours on the clock. Cleaned out under the bed, realigned etc. Recalibrated power output: 36% = 9mA = 40W output. Laser cutter relocated to workbench. Temperature sensors not currently available. Mike actually tightened the nozzle up properly, fixing reported alignment/tracking issues. Mike re-calibrated the axes. Previously they were off by 1mm over 260mm in Y and 0.5mm over 180mm in X.
DIY chiller failed and was replaced with old ambient cooler from big laser. Seems to be keeping up with normal cutting/engraving, but cannot deal with the heat from extended 100% cuts.